Genre: Australian contemporary/historical thread fiction, mystery, Gothic. I've already come to expect dark family mysteries with dual timelines from Anna Romer. In this one, Lucy Briar is summoned from her new home in London by her grandfather, Edwin. He promises to spill a family secret which has been concealed for many years if she'll return home to Australia. Alas, he dies before she gets there, but is her chance of learning it completely gone? The story peels back layers of the past as Lucy begins to search through Edwin's old artifacts with the help of Morgan, the man she's always been secretly in love with. Readers know it'll have something to do with the body hidden in the ice house at the beginning. The passive, tragic figure of Edwin stayed in my mind. He was so peace-loving and affectionate, yet life seemed to have a way of trying to knock the stuffing out of him. I think part of his problem was not being forthcoming. He found it difficult to express the depths of his heart, so always opted for saying nothing. His keeping the peace policy had the opposite effect with his volatile family members. His son even cited his aloofness as the main reason for their not getting along. 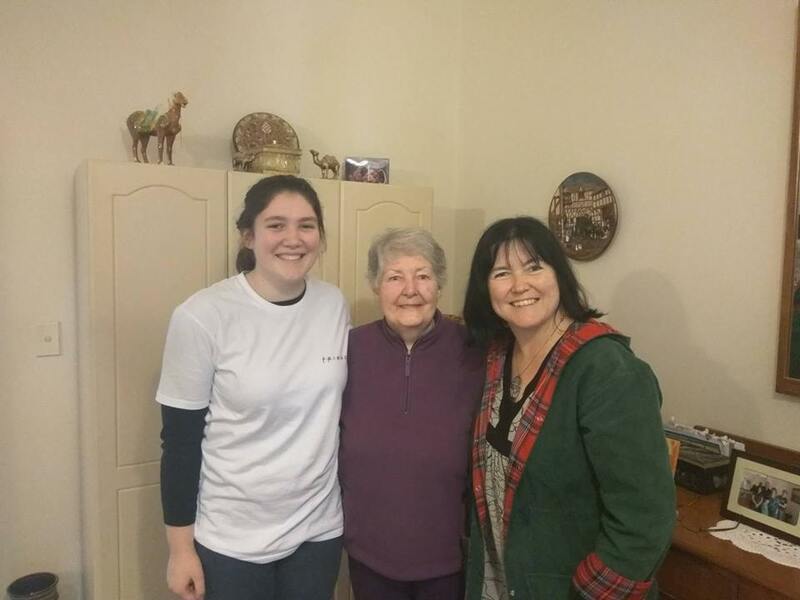 Without the author needing to mention it, it's easy for readers to trace inherited traits in generations of the Briar family who have never met each other. There's Clarice and Ron's tendency to sink into depression, and Lucy sharing a habit with her grandmother of bolting at the first sign of trouble or discomfort. I loved the beautiful little snippets of early twentieth century Australian life. They worked hard at Bitterwood, but it was meaningful, rewarding work. They kept a guesthouse, did lots of cooking and bred silkworms, all good, repetitive, worthwhile things. I might be a bit biased here because the setting holds good memories for me. I love driving along the Great South Ocean Road on summer holidays, and also seeing Australian settings brought to life so evocatively. It's been good to see the beautiful cover of this book in shops around my area recently. Altogether, country Australia is a great setting for wistful, Gothic stories like this one.They remind me of similar novels by Kate Morton. 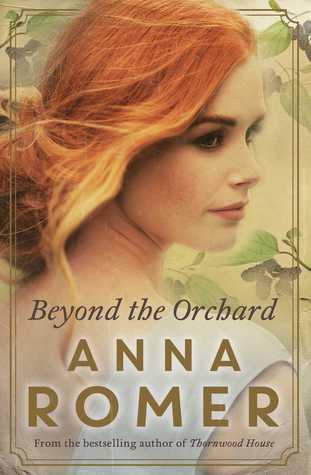 And if anyone has read or seen the Aussie best seller The Light Between Oceans, look out for parallels. I'd be interested to discuss them with you. Thanks to Simon and Schuster (Australia) and Net Galley for my review copy. Today's post is in honour of my two guests. This month they both celebrate significant milestone birthdays which include the numeral 8. My daughter turned 18 on Remembrance Day, and my mother turns 80 tomorrow. I thought I'd return to the theme of our favourite men from books, examining whether or not readers' tastes and preferences may shift with the passing years. This is the name of the generation that was born before about 1942, and she was born in 1936. They're probably our most elderly living generation, and deserve to be listened to. Hard work was a fact of life for them, and they gave a lot without expecting an easy ride in return. Getting lost in a book was likely one of their only forms of leisure, and here are some of her favourites. My Mum doesn't remember names easily, but his identity was clear from her description. 'That lovely chap who realised how snobby he was being and changed his ways, because he loved his lady so much. And he was also very handsome in that TV show.' I think Colin Firth had as much weight on her choice as Jane Austen, but it's easy to imagine the author had just such a face as his in mind for her main man when she wrote the story in the Regency Era. I remember reading her this story in my teens, when I went through my Bronte phase. Every couple of lines she'd stopped to rhapsodise about how wonderful the leading man was. He'd been knocked around by life, turned cynical, but still had the warm heart to fall for the modest charms of a no-frills little heroine like Jane. Even when he made grouchy remarks, Mum loved him, so when he gave his famous declarations of undying love, she responded just how we're supposed to. This was clear way back in my childhood, because my mother was the person who strongly recommended the Anne series to start with, and this boy was one of the reasons why. 'There was a lovely lad called Gilbert who teased her once, and she hated that, but she ended up marrying him.' Mum wasn't ever careful about hiding plot spoilers. That was something I had to learn on my own down the track. Incidentally, I feature two from her list in the battle of the book boyfriends. It just goes to show that some charm is timeless. I'm one of those people who can remember being tiny in the 1970s. Scarier still, I attended High School in the 80s! I felt like a goldfish in a pool of sharks, and doubt I managed to make it out unscathed. Those felt like cutthroat times. As I often say, at least I had my books. Here are my favourite book boyfriends growing up. The Little House on the Prairie TV series with Melissa Gilbert and Michael Landon was popular all through my growing years, but I loved the books most of all, devouring them time after time. Almanzo stole my heart when I was about 12. What's not to like about a cute, hard-working farmer boy who knew how to be romantic, although it wouldn't have been among the survival tips his father taught him. He set the bar high for future book boyfriends because you can't beat strong, thoughtful and sweet. I remember a certain blistering heatwave when I visited the Flinders Ranges with my parents. I sat in the back of the car reading that episode from 'The Long Winter' when Almanzo and his best friend Cap dodged between dangerous blizzards, risking their lives to fetch the wheat that stopped the town from starving. I appreciated their heroics but also wished they could send a bit of ice and snow our way. I latched onto 'Wuthering Heights' when I was 15, but the person who intrigued me most was not Heathcliff but his rough-around-the-edges sort-of-adopted son. Although Heathcliff vowed that he'd bring the boy up the same harsh way he'd been treated to spite his old enemy, it really ticked all my boxes to see Hareton retain some generosity and compassion. It was as if Heathcliff was proving himself wrong with every demeaning trick he tried. As well as loving Hareton himself, I appreciated the irony of that. Don't laugh, but yes, I had a crush on Trixie Belden's teasing, goofy brother. I thought he was so smart, with his long words and provoking sense of humour. I probably started rubbed my hands together with anticipation whenever he walked into a scene. In later years when I revisited the Trixie Belden mysteries, Mart came off as an annoying, attention seeking show-off. But hey, he worked for me in my tweens. There's a sort of overlap with Gen Y, but being born in 1998, she fits both. This generation comes across a bit intimidating to mine at times, as they seem to be born both tech-savvy and decisive. They make quick judgments about matters of taste, and back them up with complete confidence in their own discernment. Here are some of her favourites. This 'Game of Thrones' hero is her clear winner, which says a lot for him since her walls and shelves are covered with fandom from far and wide. When I ask why she'd place him so high, she rattles off a list of instant praise. He's brave, caring, strong, considers underdogs, and is ruggedly handsome to boot. He also had an unfortunate start as a baby, so is himself an underdog in many ways. All of this refutes argument. This man is the total package for her. The modest, unassuming young hero from 'The Hunger Games' also makes it on my daughter's list. There's something about quiet devotion and a sacrificial nature which appeals to the young women the series was aimed for. I once commented that perhaps Peeta's rival in the romance stakes, Gale Hawthorne, is arguably the nicer looking of the pair (being a Hemsworth). Was I cut down to size! 'I'm glad I'm not as shallow as you are, Mum,' Okay, it's good to see that character is still a major priority for this generation. She makes it clear that she's talking specifically about the version played by Andrew Garfield. It seems this young actor added a certain flair to the role, in her opinion. He wasn't just the standard, perfect super hero. He was funny, and also the type of person who makes nerdiness cool. And the romance in the movie was just the right amount. So what are we to make of all this? Do fashions in book boyfriends change or not? On the strength of this, I really don't think they do. Their faces change, but the attributes which make our heroes lovable remain constant. People from earlier generations didn't have characters like Jon and Peeta, but when you compare them to those who were around, like Gilbert or Almanzo, they were similar types of fellows. I know you'd have to ask more than three people for a complete study, but here are some findings which stand out to me. To qualify as a book boyfriend, a fictional character ought to be thoughtful toward others, and possess a certain amount of altruism. Being in the powerful position to be able to act on his good-hearted urges ranks high. Other traits which help include funniness, smartness, fairness and quick wits. They often display a redemptive arc during the story. And although good looks do earn ticks, a quick glance down this list shows that they aren't absolutely necessary. I'm sure those still to come in future generations will fit into the mold. 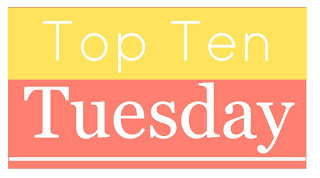 Have you any favourites of your own who may deserve to be added to this list of nine? If you'd like more, see my earlier list of true heroes. Or if you're a fan of enigmatic villains and redemptive arcs, you might like bad boys with depth. Genre: YA fantasy, history, bestsellers. I love this novel! Basically it's a mad race against time, and the company of these delightful kids makes it a super quirky read. I'd highly recommend it to anyone who loves The Amazing Race and other quest scenarios. You must read Book 1 of the series first. The peculiar kids from Cairnholm Island are back again, still without a clue what they ought to do when their time loop is destroyed, and now a ticking time bomb factor is added to the mix. If they don't hurry to find another ymbryne to help Miss Peregrine, she'll be stuck in her bird form forevermore. Not to mention wights and hollowgasts are on their trail every step of the way. I'll say no more about the twists of this plot, except that they cross different places and times. On one level, the whole story is really crazy. It reminds me of a creative writing exercise where the teacher asks you to write a story based on random photos plucked from a hat. It's obvious that's pretty close to what Ransom Riggs does, but his cool writing style manages to pull them all together. I was even getting interested in the science concerning hollows and wights, and had to remind myself, 'Hey, this isn't really true,' several times. Jacob Portman's reflections are still just as good as before. There is always tension between what he knows the others expect from him, and what he feels himself to be deep down, which is a bit of a try-hard and fall-short. He comes to see that peculiar qualities are not a deficiency, as the rest of the world would have them believe, but normalcy is. It's a great story for readers whose peculiarities are not as startling as theirs, yet may still tend to make us feel self-conscious and inferior. What an indulgence for anyone who admires eccentricity. Jacob's friends steal the show for me. The only people I love as much as the girls, Emma, Bronwyn, Olive, Fiona and Claire, are the boys, Millard, Horace, Enoch and Hugh. What a gang! They come across so innocent and vulnerable, in spite of their great powers. The sarcastic humour and droll understatements keep flying non-stop. I wonder what the subjects of the original photos would think of the characters inspired by their poses. Sometimes, I just stopped to admire the craftsmanship of the sentences. For example, there's this observation Jacob made as they walked through the war ravaged London of 1940. 'Through a bombed cemetery, long forgotten Londoners unearthed and flung into trees, grinning in rotted formal wear.' These touches of Halloween macabre are delivered in his matter-of-fact way. And I love how he mentions, 'a steady drip of adrenaline, keeping my exhaustion at bay.' You just can't predict what will happen next, and now I'm intrigued to find out how the final book of the trilogy will wrap up these incredible adventures. 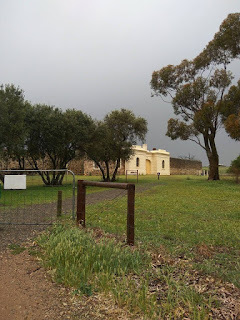 I recently paid a visit to the old Redruth Gaol, near the South Aussie town of Burra. It was a rainy day without another soul in sight, adding to the spooky atmosphere. I discovered that between 1897 and 1922, the place was used as a Girl's Reformatory School. The stories posted up all over the walls made a wild and wacky read. Some girls were sent there because they fell pregnant, and one tried to commit suicide with rat poison from the kitchen. One group of girls managed to climb onto the roof and perform an impromptu strip tease for passers-by. Another bunch locked themselves into a room and attempted mutiny, unless their demands for a particular member of staff to leave were met. And a couple of girls escaped for a short time, something none of the grown men in bygone years had ever managed. They posed as boys and scoured the district searching for work. One wall was filled with extracts from letters by the female supervisor to several parents, reporting all the stress and mischief their daughters were causing. Those girls had amazing imaginations when it came to cooking up trouble, and I didn't envy that lady her job one little bit. In fact, I left the place with a new respect for the female heads of institutions. Having to be in charge of several others without losing their respect or your own control is something I'd never be able to pull off. It started me reflecting how many of these admirable women show up in the stories we love, so today's list is meant to be a sort of tribute to them. I'll start with those who may be considered more along the lines of 'normal', and they'll gradually grow weirder. I'll stick to nice, or well-meaning examples, because it's a post with the intention to honour, so no Trunchbulls or Umbridges here. They deserve a post of their own some day. Here goes. She was the director of the old house in Paris all covered with vines, where little Madeline and several other girls lived happily together. Since Miss Clavell was possibly more motherly and kind than several of the parents who sent them there, it's no wonder they all got along so well together. We used to watch the TV series based on the books all through the '90s. Does anybody else remember how the little girls used to chant, 'We love our bread, we love our butter, but most of all we love each other'? See my review of Madeline. Did you follow the life of Jo March from Little Women through the next three books, as she got married and set up a boarding school with her husband? They named it Plumfield, and several of their students were orphaned or destitute boys. The students gave Jo and Frederick some challenges, but they weathered them and and made exemplary young men out of (almost) all of them. Louisa May Alcott made it clear that the flops weren't Jo's fault. One of the biggest themes was how the younger generation came to rely on her wisdom and sound advice. Her manner with them may come across a bit overbearing or condescending at times, but that's the nineteenth century for you. This one is a more obscure choice. She's a young woman who was offered the job as matron of an orphan home, but it means she won't be able to marry her sweetheart. There are some good, behind-the-scenes glimpses of the skill and effort it takes to run such a place. I already knew it'd never be the job for me, but this novel just reinforced it. See my review of A Home for my Heart. All through the Harry Potter series, I had the impression our wise old friend Minerva would have been a great headmistress. She's totally fair and wise, balancing genuine affection for the students with a clear knowledge of their weak spots. She was clearly a better choice for the position than Umbridge, Snape or the Carrows, and I even felt she could have given Dumbledore a run for his money in many ways. It's good to see her finally get her chance in The Cursed Child. At this stage she was pretty ancient, but still proves that she has what it takes. See my review of Harry Potter and the Cursed Child. This lady gave every drop of blood, sweat and tears she had for her beloved charges, prepared to do anything to keep them safe. Fortunately for them, her skill sets are astounding, to say the least. She nurtures the kids in a special time loop which protects them from the perils of bombs and bullies alike. Given the choice to sacrifice herself for their safety, she doesn't hesitate to put her life on the line. Later, she finds herself in the unenviable position of having to rely on the charges she'd always taken such good care of to rescue her. For these reasons, as well as being one of the strangest female heads, she's also one of the best. 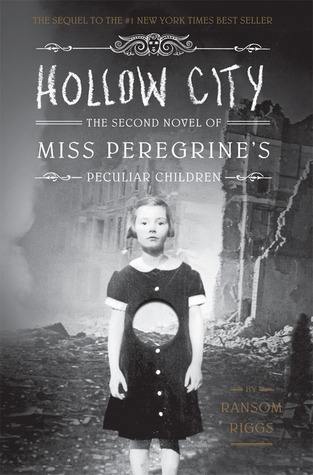 See my review of Miss Peregrine's Home for Peculiar Children. So you see they're a motley bunch, with talents far out of my reach. The last two even have the ability to turn themselves into different animals, a cat and a bird respectively, and I can't help wondering whether pulling something like that out of the bag should be a pre-requisite for such a tough and thankless job. As always, I'd love to hear your thoughts about these, or suggestions if you have any more. Or maybe you've had experience with being in charge of children yourself. 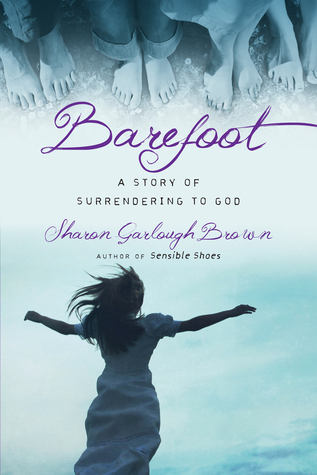 The women of Sensible Shoes face unexpected turns in their spiritual journeys in Barefoot, the third book of the Sensible Shoes series. Having been challenged to persevere in hope, can they now embrace the joy of complete surrender? This novel concludes the trilogy about these four women who met when they decided to attend a sacred journey workshop, and ended up forming their own Sensible Shoes club. You might need to grab a box of tissues for this one. It crosses over into the sort of story I don't usually choose to read (because there's enough emotionally draining happenings in any person's life without adding to it by getting heartbroken over the plights of fictional characters we've grown fond of), but since I'd become so invested in the lives of these four already, I thought I might as well finish it. Once again, I was struck by lessons we learn from the experiences of others. The story deals more with what it calls socially acceptable forms of idolatry. There's Charissa's thirst for honour and recognition in the academic world, and Hannah's clinging to the Protestant Work Ethic because of her longing to be appreciated and affirmed. It's good to bring these things to the light of day and recognise them for what they are. Perfectionism and helps ministries are clearly easy to regard as good, but not if they're rooted in how we think others perceive us. There are probing questions about how we deal with difficult family members. Hannah wonders whether to mention painful aspects of her past to her parents (and I was glad by her conclusion), Meg deals with outright rudeness from her sister and daughter, as well as having her beliefs treated with contempt, and Charissa copes with pressure from a mother-in-law whose mindset is poles apart from hers. Then there's poor old Mara's rejection issues, which she's finding take longer to put behind her than she expected, even though she's acknowledged them. Her first hand lesson about bitterness makes an interesting twist to the tale, and maybe a whack in the gut for any of us who might be dealing with condemnation from others, as well as condemning others in our hearts at the same time. Some interesting extras are worth making a note of too. Who knew there's a longer version of the Serenity Prayer? Most of us probably only know the first little bit, but it's written in its entirety in the story. There's also an impacting, short little parable about a man who curses and praises the dead. The finish wraps up some things and leaves others open, especially concerning the fates of secondary characters. What does Nathan do about Laura? The Becca and Simon issue is still unresolved. And how about Mara's attitude toward her youngest son, Brian? I was noticing unconscious resentment from her toward him in the previous books, so I'm glad this one picked up on it. I don't mind having these things left to our imaginations, since the books are a slice of life, and that's what life is like. Altogether, even though it dealt with themes which I wasn't prepared for, it still gets high marks from me because of the thought it evokes. Thanks to Net Galley and Authentic Media for my review copy. Genre: YA historical fiction, comedy, romance. This is a lighthearted YA novel set during the Napoleonic Wars. Georgiana Fitzwilliam is a source of shame to her parents because she persists in following her interest in chemistry and shuns the activities they believe young gentlewomen should pursue. So they drag her in disgrace to the school of Miss Emma Stranje, who promises families that she'll be able to make their headstrong, eccentric daughters unexceptional. Georgie's parents approve of the solitary confinement chambers and torture devices they see, but little do they realise it's all a front. Miss Stranje's real intention is to nurture the brilliant girls under her care, and enlist their help in the war effort. While Georgie's parents are horrified that she almost burned down their barn, Miss Stranje knows that she was working on a recipe for invisible ink when it happened. There are more books in the series being written with a focus on the other pupils, which I'd recommend depending on how much cheesy satire you feel you can take. This book has its fair share of slapstick moments, with larger than life characters. There's handsome Lord Sebastian Wyatt, the young rake who knows how to press Georgiana's buttons, and Lady Daneska, the cold-hearted, beautiful villain who actually used to be one of the girls. They're fun characters but not exactly new, multi-layered or unpredictable. Still, the book never pretends to be anything it's not. If after the first couple of chapters you wonder if the tone will change or get a bit more realistic, the answer is no, it doesn't really. There are so many convenient nooks and crannies for people to eavesdrop in Stranje Academy, and there'll probably be even more in the sequels. 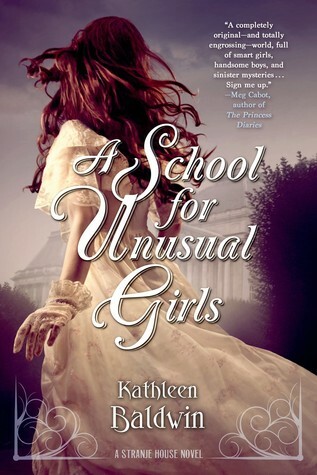 I can't help wondering if this story might be the modern counterpart of the Gothic novels young girls used to love reading during the time period this was set. You might have heard that the best stories aim to hide the fact that they're stories and come across like reality. Well, this story seems to have the opposite aim; use every literary device or cliche, no matter how corny, to remind us that it's funny fiction. There are a few poignant reflections from Georgie along the lines of following your own inner compass, even when it points straight to misunderstanding and rejection. They're not subtle, either. 'If only I could rip out my overactive curiosity and trade it in for an interest in embroidery, maybe then my mother's friends would smile at me. Maybe then my mother would love me.' Of course the implication is that this would be too a big a sacrifice for her to make. Later, she considers that the lure of 'what if?' when it comes to science experiments, carries a cost. 'No approving smiles, good girl pats on the head or nods of approval.' I think this theme, that what's in us shouldn't be suppressed, might be the best thing this book has going for it. I've been talking to females of all ages about their favourite book boyfriends. I've also done internet searches of online polls, and two particular characters seem to have their names pop up more often than any others. They are Gilbert Blythe and Mr Darcy (whose given name was Fitzwilliam, but it was only ever mentioned twice in Pride and Prejudice). It initially surprised me, since my first reaction is that Gilbert beats Darcy hollow. Come on folk, he's the superior guy in every possible way. But then it occurred to me that since these are literary characters, Darcy might have one ace up his sleeve to catch Gilbert at the homeward stretch. So I'll start with my reasons why I don't think there should even be any competition. Then I'll finish up with Darcy's one possible trump card. I would've found Anne's grievance easier to put behind me than Lizzy's. I used to forgive boys at school for calling me names all the time, and poor Gilbert only ever did it once! 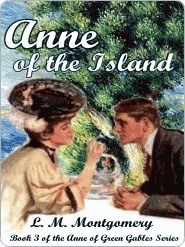 We readers are quick to understand that his true motivation for teasing Anne was a simple ploy for her attention. If Anne had been wise to the subtlety of school behaviour, she might have realised his 'Carrots' taunt could be taken as flattery in a way. However it was all new to her, so she took his action on face value. Darcy, on the other hand, was being sincere when he told his friend Bingley, 'She's tolerable but not pretty enough to please me.' We don't get to see him as a boy, but that remark is enough to indicate that he was most likely a pompous, privileged little snob who looked down his nose at others. A grown man would come out with something like that only after years of thinking in a similar manner. Bingley was evidently used to his friend's stuck-up qualities, because he simply rolled his eyes and said, 'You're impossible' as if he'd heard many similar things from him before. What sort of gentleman would even say, 'You are dancing with the only tolerable girl in the room' anyway? What a shallow thing for him to say. 2) Gilbert was shown to be intelligent and hard-working. 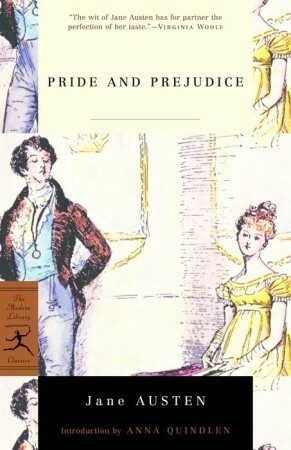 Darcy was mainly shown to be rich. The Prince Edward Islanders were presented as farming families who had to watch every dollar carefully, and the Blythes were among these battlers. Gilbert worked hard to put himself through years of college to become a doctor. He was a bright lad, being the only peer group member Anne couldn't beat at school work. During his college years, he almost destroyed his health, because he was run down from working so hard. Darcy inherited his lap-of-luxury lifestyle from his family. He didn't have to do a scrap of work to acquire Pemberley, since he grew up knowing it would be his in due time. He had a huge independent fortune. An internet search showed me that his annual income of £10 000 in 1803 would equate to almost £800 000 today. No wonder he was free to go swaggering around the countryside, making snide remarks about the backward qualities of country towns and his perception about the attractiveness of young women. What a lifestyle! 3) Darcy couldn't help making a snobby marriage proposal, but Gilbert wasn't a snob. On the other hand, Gilbert didn't have a clue about Anne's family connections, yet that didn't matter to him. He, like everyone else, knew she was a destitute orphan who Marilla and Matthew Cuthbert adopted. For all he knew, her background could have contained all sorts of unsavoury characters, but he didn't hesitate to propose. He loved and appreciated Anne for the person he knew she was. Incidentally, both these guys had to make two proposals before they were accepted, but I'm sure readers would probably be unanimous in agreeing we cheered for Lizzy's initial refusal, and groaned for Anne's. See my post on literature's most awkward marriage proposals. 4) Gilbert's sacrifice arguably cost him more personally. At the end of Anne of Green Gables, Gilbert was offered the position as teacher at Avonlea School, but willingly gave it up to work at White Sands, which was further away and would have cost him more for boarding and travel expenses. He did it because he wanted the school board to offer Avonlea School to Anne instead, knowing it would suit her to be close to Marilla after Matthew's death. Darcy's intervention to save Lydia Bennett's reputation and arrange her marriage to George Wickham was a generous gesture for Elizabeth's sake, and she knew it. Even though he and his younger sister had their own awkward history regarding Wickham, he put it aside and stuck his neck out to save the family honour of the woman he loved. Yet I doubt it really cost him as much personally as giving up the school cost Gilbert. Darcy didn't have to alter his own lavish lifestyle, or go without anything, except maybe putting himself through the potential annoyance of having to face Wickham at future family gatherings. Remember when she visited Pemberley with her aunt and uncle Gardiner, and was embarrassed to find Darcy at home? To her surprise and relief, he behaved like a gracious and welcoming host. To me, that's more evidence that in her deepest heart, his aloof, grouchy, brusque demeanor was the one she expected as 'normal'. If somebody surprises you by being nice, it's a fair indication that this isn't their usual way of coming across. In Gilbert's situation, the roles were reversed. He was almost always friendly and kind to Anne, and she was the one who returned his good intentions with snubs and hostility for year after year. On the afternoon when she stepped forward to thank him for giving up Avonlea School for her sake, she was the one who caught him off guard. He would have stopped his cheerful whistling and passed her with a polite nod, since he expected her to treat him as coldly as normal. He showed his good heart by instantly accepting her olive branch and becoming friends, after the way she'd always treated him. I prefer Gilbert's version of 'normal' to Darcy's, by far. But that brings me to the big question. Why, in spite of all the overwhelming proof of Gilbert's superiority, is Darcy still up there with him in favourite book boyfriend polls for year after year? Darcy's trump card! We are often suckers for bad boys who show good character development. How often do you hear comments such as the following? This is more than a fair point. Darcy had lived for 28 years as a male with an independent fortune in the early nineteenth century. He'd been brought up to believe in the superiority of his birth and the commonness of families like the Bennetts. For him to notice and fall for Elizabeth's charms is remarkable, when you think about it. We relish his change of heart. And we know full well that other wealthy gentlemen in his situation would never have done likewise. As for Gilbert, well, he was such a sweetheart to start with, he simply didn't need as much character development as Darcy. Apart from a moment of immaturity when we first saw him, he was the same, warm-hearted guy all the way through the series. It's a shame to be pulled down in the book boyfriend battle because you're too nice, but that's the nature of fiction for you. It's especially tough when character development alone is worth five points, but there we have it. It turns out to be a draw. I guess these two guys will be charming the hearts of readers for generations to come. Do you have a clear favourite from the pair of them? If you want more, see my post on bad boys with depth. Or check out my review of Anne of Green Gables, my daughter and me by Lorilee Craker. 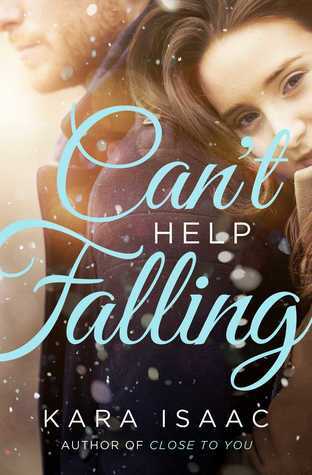 After a normal day turns disastrous, Madison Craig tries to put her life back together. She's jumping at shadows and finds even familiar places terrifying. Can she forgive the men who hurt her? Her friend Evan Mansfield sees no need to do anything but hate their assailants. He struggles with bitterness, but Maddy wants to move on. What will she do when one of the men asks for forgiveness? The story shows how the impact of a few terrifying moments can adversely affect a person's life from then on. Even when your conscious mind is thankful to have come through, and happy to put it behind you, PTSD can have a strange way of rearing its ugly head. Time isn't necessarily a solvent for all wounds, and tears may be unexpectedly close to the surface at random times. It all starts when the main character Maddy Craig and her good friend Evan are held up at gunpoint and robbed while working in a book shop. The relief of coming through okay is short lived, as each of them develops their own personal coping mechanisms to watch their backs from then on. Forgiveness is another major theme, and one close to my heart. When Jeremy, one of the crooks who has served his time, reaches out to Maddy expressing his remorse, she struggles to figure out how to respond. It's a fairly short YA novel, but with a lot of ethical content packed into it. It gets the reader questioning whether things are ever clear cut enough to label anyone 'good' or 'bad'. In the way he chooses to respond to his trauma, is Evan really any different from Jeremy, who is also shown to have had rough events in his past, helping to set him on a bad path? And to what extent should someone have to prove that they can now be trusted? This novel is a tribute to C.S. Lewis as well as a romance, since the main couple first connect over their mutual love of the Narnia Chronicles. Whenever Emelia sees an ornate, antique wardrobe, she steps inside to test the back, just in case. It's a bit of a childhood tradition. And Peter catches her doing this not once but twice. Their relationship is based on a series of coincidences, but the magical, historical setting invites us to suspend disbelief. I liked the Oxford setting, because I visited there once, many years ago, and it brings back memories. This book features University culture, antique shops and the rowing team, who have their sights set not only on beating Cambridge but aiming for the Olympics. Peter's situation evokes a lot of sympathy, since we've all felt hard-done-by at one time or another. Not only is his dream crumbling because of a painful injury, but he has to see his undeserving brother Victor achieve in the same arena (and rub it in too!) It's interesting to see Peter always trying to force the right responses while feeling something completely different in his heart. Victor, who always behaves so badly, seems so blessed. You can't help wondering whether good things are coming for Peter. Altogether, I can think of several people who enjoy watching rom-coms or reading contemporary romance novels who would surely enjoy this book. Thanks to Howard Books and NetGalley for my review copy. Two family members spurred this post. 1) My sister sent me a photograph of her thesis, which she'd finished at last, and said, "Here's the result of 5 years of hard work, handed in today!" 2) My son walked in on the last day of Uni holidays and announced that he was about to pull an all-nighter, since he had a 2000 word essay due by midnight the following day and hadn't even chosen a topic! I said, "How can you leave it this late and still be so chilled?" His reply was, "I refuse to work over my holidays." He's used to my horrified reactions and usually manages to pull something off. So how long is a reasonable time to spend on whatever you're writing? Different projects take different lengths of time to complete, of course. 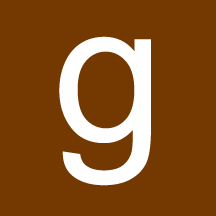 I usually take about twelve to eighteen months to work on a book of my own, but when I worked on The Greenfield Legacy with three co-authors, we took about a quarter of that time. But how do we ever know when we've put in enough work? When do we come to the point where we can confidently state, "This is the best I have to offer"? It's not necessarily accurate for everyone to say something like, "It should be two hours for a book review, six weeks for an essay, 1.5 years for a novel and 5 years for a major thesis." We're all way different from others. My son thinks he works best under pressure, while I hate the feeling of deadlines looming over my head. Other variables include how familiar we feel with the subject, how much research will be involved, and what else is going on in our lives at the same time. Rather than setting fixed time estimates, I believe there's another, more foolproof way of figuring out when to stop. I think the Law of Diminishing Returns might be handy here. We've all experienced how any given thing becomes less beneficial or satisfactory the longer we indulge. 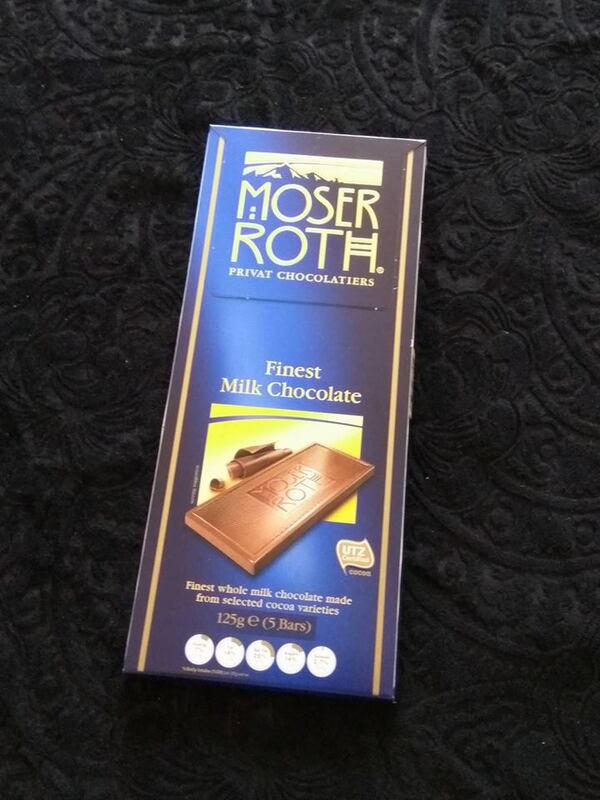 In terms of a block of chocolate, the first square is heavenly. We may close our eyes and sigh, while our taste buds and tummies are screaming at us to have some more. The second square is still delicious, so we keep nibbling away. If we don't stop at a crucial moment though, we'll get to the last square, and find ourselves feeling squeamish and bloated. By then, even the flavour may strike us as sickly sweet. Remember the chap in Monty Python's 'The Meaning of Life' who managed to squeeze in that last after dinner mint? (Well, actually, he didn't manage!) There's a point at which we all should stop, and if we don't, we find ourselves on a downhill slope. In terms of working on a written project, here are a few clues I've noticed to tell me I've passed that point, and it'll all be diminishing returns from now on. 1) My eyes start sliding over elementary mistakes that fresher proof-reading eyes would have picked up. Missing words in sentences, such as 'and' and 'the' get unnoticed. I'm so familiar with the work that I skim read the sentence as if they're present every single time. 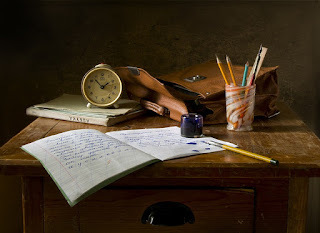 2) I attempt to approach my story with the eyes of a new reader, but find I anticipate each new paragraph, and have accidentally memorised hefty chunks of dialogue by heart. 3) The whole thing now seems boring, heavy-handed, predictable and stale. Common sense tries to tell me that maybe my senses are just saturated with the thing, but another niggling voice asks, "What if it really is hopeless?" At this stage you're wandering around in a fog, because objective evaluation is way in the past. 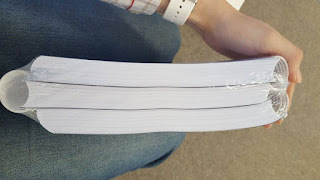 4) I've noticed signs of diminishing returns in friends too, when they say, "I can't stand the sight of this manuscript any more," especially after they've made all their editing changes. So those are the signs that we need to stop, or least put it aside for an extended period of time if we can (although in my son's case, that was no longer an option). If we don't distance ourselves from the work at this stage, fiddling around on it even more, making little syntax changes, rubbing out exclamation marks or changing a character's word choice, is no longer helping the quality of the work. It's more like stuffing empty calories of chocolate down our throats long after we've stopped enjoying them. Recognising that critical moment is one of the challenges we all face, but I think we can do it when we get sensitive to the signs. My son received 70% for that overnight essay, and grumbled because he was sure another lecturer he prefers would have given him at least 75. Since it was such a rush effort, I thought he should be happy with 70, and he remembered that at the start of his degree when he was less confident, he used to say he'd be relieved with anything over 50, so he agreed with me. My sister's thesis has yet to be seen, but I'm sure it'll be great. 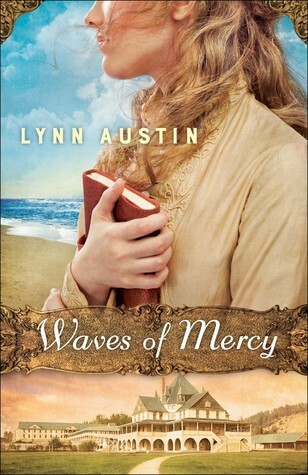 I've read enough Lynn Austin novels to know they'll surely be a good quality read. Her cross-cultural stories are always really thoroughly researched, and this is no exception. It's a dual timeline which gradually draws together. The younger protagonist, Anna, has accompanied her mother to a holiday resort, but she's preoccupied. Not only has her fiance recently jilted her, but she suffers strong nightmares about drowning at sea, and lately she's beginning to wonder how she can understand foreign words she's supposedly never heard before. The elderly protagonist, Geesje, has been challenged to write her personal history for a book about the district's 50 year anniversary. 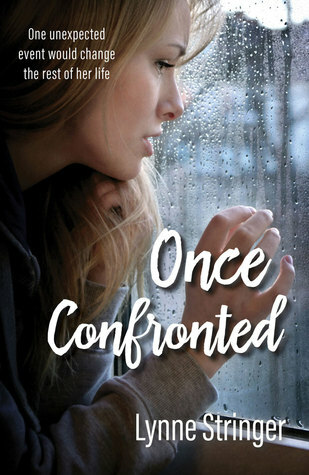 Her past is full of anger and bitterness which she's not sure she ought to share, but as she begins to get it all down on paper, she decides it may be of some value to others after all, and we find out how she migrated from Holland with her family, and the harsh circumstances involved. It's clear that the two stories will converge together eventually, but from the start, the go-between is a young seminary student named Derk. Anna knows him as a friendly part-time worker at the hotel she's staying at, and to Geesje, he's the son of some old friends. It's an interesting read, but not my favourite story by Lynn Austin. I had problems with the way she wrote Geesje's romantic dilemma, and whether she'd end up with handsome, lonely soldier Hendrick or her father's loyal apprentice Maarten. It felt like the character development she gave each young man made it too easy to predict where she was taking the love triangle. Sure enough, Geesje's eventual choice came as no surprise. When character development makes the plot too obvious, then maybe it's a bit heavy-handed. Also, I felt really bad for one of those young fellows, since he was doing all the right things and what happened wasn't really his fault. I thought it might have been nice if we readers had some tips on how to pronounce Geesje's name. It would have been easy enough to have her tell another character, 'This is how you say it.' As it is, I'm sure the way I imagine it spoken in my head is nothing like it's supposed to be. As a family saga, it's an emotional roller coaster with plenty of twists and overdue revelations. But those moments of predictability, plus a bit too much sadness and grief in the back stories, makes it a good read, but not one of my very favourites. 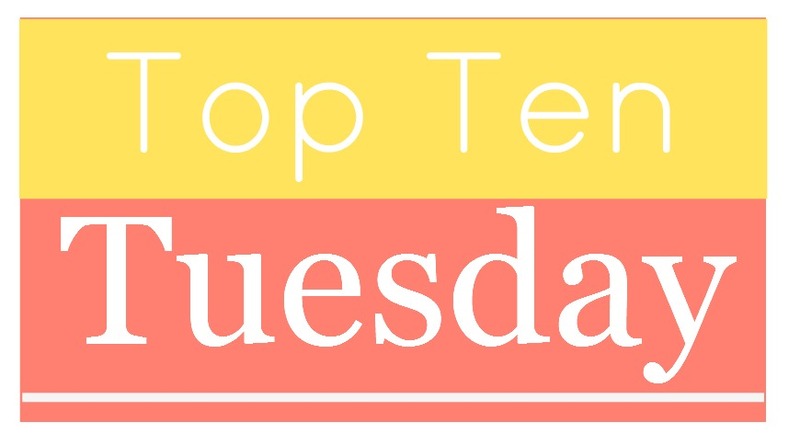 This week, I'm accepting the freebie topic from The Broke and the Bookish, Top Ten Books to Read if your Bookclub likes ___ (we get to fill in the blank). I chose twin stories. 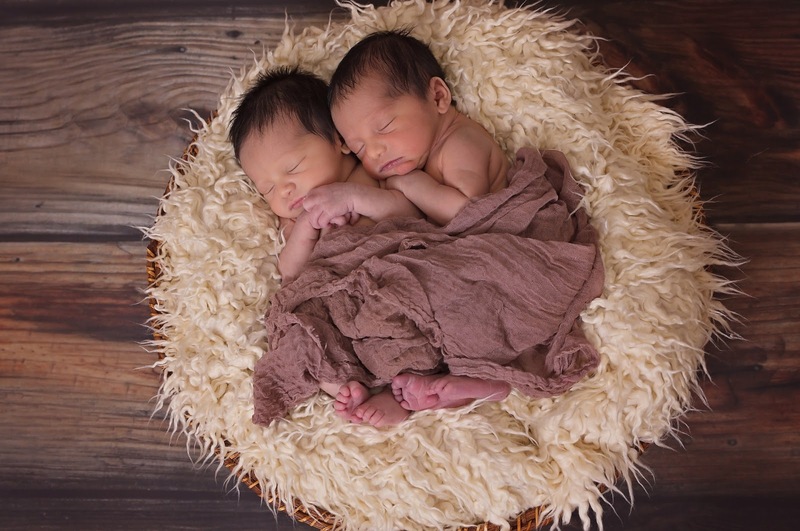 Twins are reasonably common to the extent that we've all surely known a set or two, and they also feature prominently in literature. They are everywhere. Anne of Green Gables gave birth to some twins, as did Meg from Little Women. Maybe it's because they're highly interesting. Scientists have studied identical twins who have been separated from birth, trying to figure out the extent to which a person's character is formed by DNA or environment. There have been some amazing correlations we'd never expect, indicating how much of our personalities may be shaped by biology. In stories, twin tropes are rife. There are twins who have strong, supernatural ties to each other, twins who long to break the stigma that they are duplicates of the same person rather than individuals in their own right, and the somewhat corny 'evil twin' scenario. The bad guy goes around causing all sorts of havoc, all the while being mistaken for his good, identical brother. Even the Friends sitcom played on this with Phoebe and Ursula Buffay, both played by Lisa Kudrow. Since there are heaps to choose from, I've chosen ten stories in which the fact that they're twins becomes an issue in the story. First, I'll start with some ancient sets of twins from legend, mythology or Biblical history. These baby princes were abandoned by their cruel uncle in the deep dark forest. They were discovered by a pack of kind wolves who cared for them, until a lowly shepherd discovered them and brought them up. When the boys became adults, they built a large town on top of 7 hills. Romulus proclaimed himself king, which made Remus indignant, so Romulus charged at him with his spear and killed him. Then he named the town Rome, after himself, and nobody disputed him. These Biblical sons of Isaac and Rebekah were at war with each other while they were still in her womb, and it never stopped. Outdoorsy Esau sold his birthright as eldest twin to his more sedentary brother for a bowl of stew, then regretted it. Later, Jacob tricked their blind old father into bestowing the blessings of first born on him instead of his brother. He had to flee Esau's wrath for several years, but they eventually reconciled, and each became founders of huge nations. These are the mythical brothers star gazers may recognise as the Gemini constellation. They were born to one mother (of course) but with different fathers. Castor was the mortal son of the King of Sparta, and Pollux was son of the god Zeus. The legend goes that Castor was killed in battle, and Pollux asked his father Zeus' permission to share his divinity with his brother forever. So it seems not all ancient twin stories involve antagonism and hostility. My friend, Andrea Grigg wrote this touching story. Nathaniel is the hero and his identical twin brother Oliver had passed away long before the story started, yet he is still an enormous presence in his brother's life, and hence in the readers' too. Oliver was shown to be the more outgoing and mischievous twin, and his absence impacts Nathaniel in more ways than he'd ever anticipated. It's a fascinating study of whether or not losing a beloved twin is really like losing part of yourself. 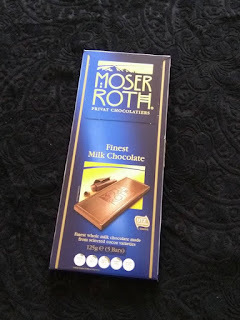 My review is here. These young girls were brought up in a fairly feral manner. I didn't enjoy this book overall, but did find the concept of receiving a double portion interesting. Adeline seemed to have inherited both her and Emmeline's share of aggression, while Emmeline was the gentler of the pair. There are some fierce moments, when Adeline objects to Emmeline showing an interest in anything outside their shared life together. My review is here. These two were introduced as very ancient ladies, and the story delves back into their past and shows that their established patterns never changed. Percy was very much the alpha twin, straightforward and practical, while Saffy was more retiring and arty. The events that transpire in the story show how far one twin may go to protect another. My review is here. It's a contemporary tale about starting university. These girls are identical in looks but not personality. Cath is the text book introvert who finds everything overwhelming and awkward. Wren tends to be more of a party girl, wanting to throw off the shackles of attachment to her sister and live life to the fullest. Unbeknownst to everyone, Cath is huge on the internet, with thousands of followers who enjoy reading the fan fiction she writes under an alias. I groaned when I read how these twins happened to be named, like two halves of a whole. When you say CathWren fast, what does it sound like? Yep you got it, Catherine. These are the fraternal twins of very difficult and demanding parents. They become wrecks in their own ways. Tim gets heavily involved in drugs and substance abuse while his sister becomes a nervous wreck of a perfectionist whose desire to succeed academically consumes her whole life. What's fascinating is how far she's willing to go to achieve her goals and how she chooses to involve her brother. Their parents regard her as the 'good' twin, but is it really so cut and dried? There's a fair bit of coarse language in their story. A bit too much maybe, but the relationship dynamics are interesting. My review is here. And finally, no I'd never forget them. They're outstanding, with their bright red hair and dorky matching jumpers. Their quick wits and sharp humour delight everyone. They never attempt to be anybody but themselves. And what I love best about these two is that they show it's okay to choose a unique path and be successful in your own way. They never pretended to be interested in academic work (willing to fall short of Bill, Charlie and Percy who went before them) but turned out to be sound businessmen when their joke shop took off, earning them a good living. The end of Deathly Hallows was gut wrenching. How could George every recover the loss of his wonderful twin. Actually, while I'm at it, I'd better mention the other set of Harry Potter twins. These sisters show that not even close siblings always get sorted into the same Hogwarts House by the sorting hat. Parvati was assigned to Gryffindor with Harry and his crowd, while her sister Padma became a member of Ravenclaw. From time to time Harry and Ron considered them as romantic interests, especially when they needed to find partners for the Yule Ball on short notice. In a dual timeline presented in The Cursed Child, Ron actually married Padma instead of Hermione. Needless to say, that had to be set right. Have you any other twin stories to suggest to us? Or can you add your opinions about any of those I've mentioned?